This very early evening your lighting-man (as opposed to your lighterman or your waterman) was to be found on the 16:28 Thames Clipper cruising from Embankment to Plantation Wharf, Battersea. And thus he had the opportunity to observe the illumination status of the various road/rail bridges under which he passed … most of which have the joy to find themselves anchored in our dear Borough of Wandsworth. So one by one … here we go …. 1. Known as the Grosvenor Bridge … it’s a railway bridge-only going from Battersea Park Station to Victoria … no side/surface lighting at all … apart from the statutory boat-facing yellow ones. One blink and you’ve missed it. 2. The jolly busy road bridge that is Chelsea Bridge …. lit gantries, very bright for all those who pass over or under …. fit for purpose. Thank you. 3. Albert Bridge … the most graceful of all our London Road bridges … a joy to behold (see above) … well-preserved, well-lit, well-managed, well-maintained … a real asset for us all. And has a fine pub named after it. 4. Battersea Bridge … not quite as graceful as its near near neighbour … but it’s pleasantly lit on its roadway with many ‘chandelier’ lights … most practical. 6. And now Wandsworth Bridge ... our youngest Bridge … a mere 84 years old … painted light-blue in order to blend in with Old Father Thames (and thus deceive Luftwaffe bombers … not too difficult and thankfully a successful ploy) … it used to be lit on its roadway and have uplighting from its sides … as well as its statutory maritime lamps … but for the last 3.5 years it’s been very dark … and that’s what is both displeasing and dispiriting. As well as most mysterious. Excuses prevail. Rust is apparent. Sadness prevails. Lots to write about as old acquaintanceships are rekindled. Sadly ,,, rien ne change. For one whole hour THE WANDSWORTH VOICE has become THE VENICE VOICE … or indeed LA VOCE DI VENEZIA. However … (Don’t Look Now) … unlike Wandsworth, their bridges, albeit only a few centuries older, are in much better nick … and I haven’t seen any decomposing dolphins either. Finally, for all my literary readers, we doubt whether Thomas Mann would have the same international success with ‘Death in Wandsworth’ and nor would the Bard of Avon have received such lasting renown with ‘Othello: The Moor of Wandsworth’. The Wandsworth Voice is leaving its beloved Thames for a few days to explore the delights of the northern Adriatic coast and of Slovenia in particular. Its coast-line rivalling that of Monaco in terms of length will nevertheless be enjoyed but even more so will be the valley of the river Soča, whose emerald blue qualities contrast favourably with the grey, muddied banks of our own noble river. 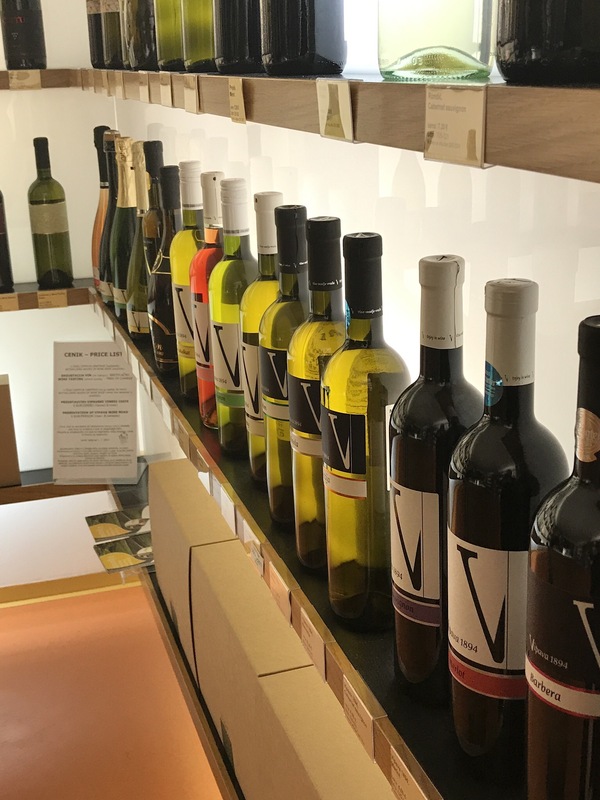 Photographs and eulogies will follow as the feast of St Martin is celebrated with local fine fare and vintages from the Vinoteka of Vipava. The coastal exploration will start in but a few hours’ time with a train journey from Venice to Trieste … truly following in the footsteps of Hercule Poirot and his recent impersonators, but, optimistic as ever, hoping to avoid murderous events. As they say in Belgium … à bientôt or tot zienes … or in Slovenia … se vidimo kmalu. We let the people walk …. The aesthetic qualities and cultural ambitions of your esteemed Wandsworth Wanderer/Battersea Boulevardier know few limits … and certainly not geographical or fluvial ones – and so it was, a couple of days ago, that your noble riparian correspondent sauntered across Albert Bridge to two famed establishments. Firstly, the newly renovated and rejuvenated National Army Museum, where contemporary paintings of Arthur Wellesley (aka The Duke of Wellington) riding through Spain are to be found side-by-side with posters promoting films featuring Maurice Mickelwhite (aka Sir Michael Caine). There are ‘natures mortes’ displayed alongside ‘tableaux vivants’ on (mostly) silent screens – both showing current museum curation practice at its very best. The museum’s presentation and appeal is on a multi-generational level – it is neither didactic nor polemical; it seeks not to glorify our Army but rather to present a rationale for its previous and current standing and activities. 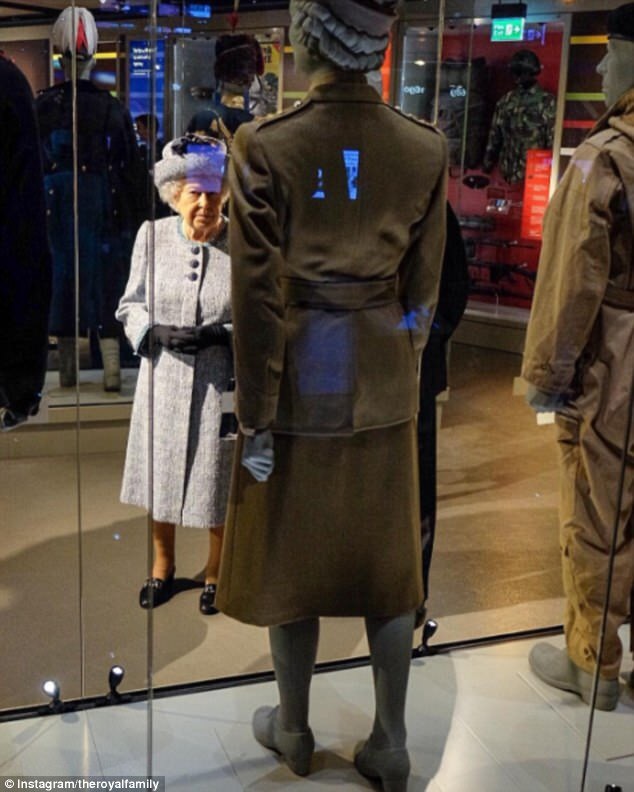 On the day that she re-opened the museum the Queen stops to inspect the uniform that belonged to her as Honorary Brigadier in the Women’s Royal Army Corps. Lunchtime during school holidays may not have been the best time for this transpontine foray into Royal Hospital Road but subsequent incursions are already being strategised. 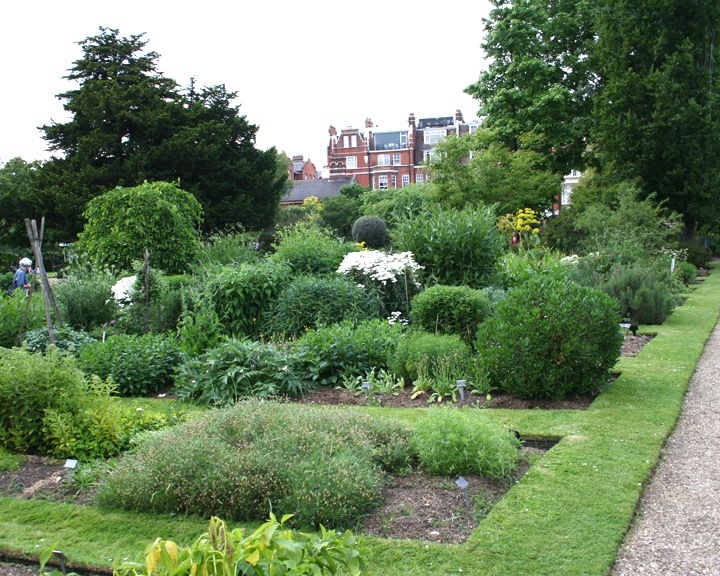 It was thence but a short yomp down the road – certainly less far than a bold Agincourt Archer’s arrow-firing distance – to the second establishment of the day – indeed a long-favoured haunt, Chelsea Physic Garden. As ever, a veritable oasis of calm and a sea of tranquility – even the visiting Bumptious Brats appeared to realise that here was not a place to shout, scream, scoot, skate or take delight in pursuing our feathered friends or persecuting their long-suffering nannies. Objets jardiniers abound in the charming shop – highly recommended are the small-scale patent window-box seed dibbers – and these are to be found spade-by-trowel by reproductions of historic tomes, advising the Percy Throwers and Alan Titchmarshes of yesteryear on how best to nurture and cultivate cuttings, somehow shipped lovingly, from the Sumatran jungle or the Paraguayan plains. The restaurant remains as charmingly chaotic as it was over 20 years ago – but at least it no longer requires seven senior ‘Friends of the Garden’ to serve, sell and account for a cup of tea. All in all, therefore, a wonderful way of taking advantage of these fine Chelsea-based riverside facilities … the next step for your appropriately (or indeed inappropriately!) surnamed correspondent is a visit to the Wildfowl and Wetland Trust along the river from Putney (to Barnes). Of course, it means straying outside of ones belovèd Wandsworth – but as THE WANDSWORTH VOICE exists to proclaim all that is good and highlight all that is bad in our riverside vicinity … so be it. After various “tales, ales and wails of the riverbank” over the last couple of years …. 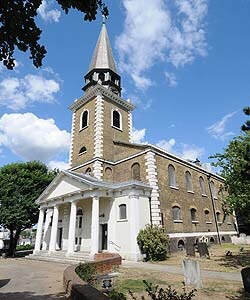 now it’s the turn of “hails of the riverbank” – indeed it’s “All Hails” to St Mary’s Church of Battersea which hosted a very poignant and truly excellent early evening concert on Palm Sunday. After œuvres by Taverner and Tchaikovsky (amongst others) the pièce de résistance was indeed Gabriel Fauré’s magnum ‘Requiem’ opus. Oftentimes heard on the radio (and on ones own CDs) to be present at a living, passionate rendition of this magnificently moving music in such delightful riverside surroundings on a cloudless Spring evening was a fine and unforgettable experience. 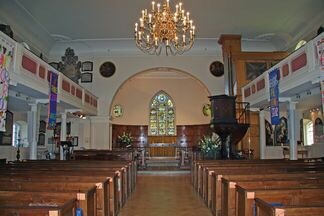 So thanks to all organisers and artistes concerned – especially to the church’s own musical director and conductor, Tyrone Whiting.